“His vision was to have a jet-capable airport, which is pretty remarkable when you consider that business aviation was really in its infancy back then,” remarks Dwight Bowden, president of the current airport authority. 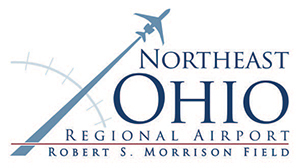 If Morrison were alive today, he undoubtedly would be proud to see how his vision has been brought to fruition at Northeast Ohio Regional Airport (HZY). Authority officials recently christened a new terminal building and completed a $9 million runway improvement project that allows the airport to serve all but the heaviest business and private aircraft. Morrison also would likely approve of HZY’s organizational structure. The airport, which straddles two separate townships, is operated according to a proprietary business model under the leadership of a nine-member volunteer board of trustees. Three full-time employees manage its daily operations. Pursuing full compliance for Category II operations with a jet-capable runway wasn’t always a foregone conclusion. As recently as 2014, the airport authority had considered downgrading the runway/airport to serve only propeller and small turbine-driven aircraft. “About five years ago, we hit a fork in the road when we had to decide if we were going to allow the airport to fall into a state of disrepair, or if we were going to take corrective action and save the aviation asset for future generations,” Bowden explains. The clock was ticking on that decision as the airport’s sole runway neared the end of its 50-year lifespan. After a traffic forecast indicated that HZY should continue serving jets, the Airport Authority chose to embark on a major runway improvement project to retain and improve upon its CII classification. “It was that original vision of Mr. Morrison that kept us driving forward,” comments Laura E. Jones, vice president of the airport authority board of trustees. “The tipping point occurred when local communities spoke up about the need for infrastructure improvements to attract new businesses and to help establish business growth and expansion,” she recalls. “The board honored the original intent of this airport’s founding documents,” explains Jones. “It was meant to be an economic development driver; and without it here, and without the ability to make those improvements to keep it viable and vital, our county was going to lack the ability to move forward economically”. The airport’s ultimate salvation began when the Airport Authority took action to acquire property and navigation easements, relocate utility power lines, remove tree obstructions and satisfy other runway certificate requirements. Funding was provided by FAA grants, Ohio Department of Transportation grants and private donations. Bowden credits the airport authority board of trustees and airport staff, along with professional service providers, for securing FAA grants and successfully executing a plan to preserve the airport for future generations. 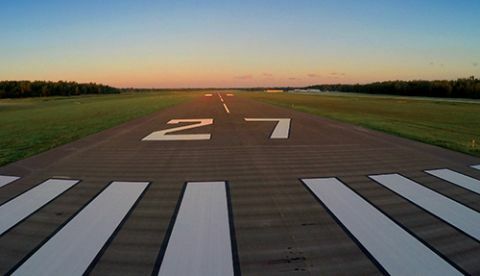 The FAA provided nearly $7.4 million to help reconstruct and extend Runway 9-27 and install a runway safety area to current design standards. The local funding match of $418,000 was provided by private donors, rather than local taxpayers, notes Bowden. The Airport Authority is the beneficiary of three donor advisor trusts created by private donors and administered by The Cleveland Foundation. One trust is primarily for non-routine maintenance; another is designated for capital improvements; and a third was created to prepay a hangar construction loan. “Those three trusts, plus substantial private donations, allowed us to fund our local match and move both projects forward,” explains Bowden. The improvement initiatives began in 2017 under the direction of consulting engineer Michael Baker International. The most significant project was the full-length reconstruction of Runway 9-27, which entailed removing and replacing the entire pavement structure down to the base. Crews also added a 703-foot extension and installed a new high-intensity lighting system. Now, HZY has a 5,900-foot runway capable of serving nearly all private and business aircraft. Paul Strack, Associate Vice President with Michael Baker International, notes that the firm has provided on-call service to HZY for about 14 years, and the last 10 or so have been dedicated to making Northeast Ohio Regional Airport 100% compliant with all federal standards and state licensing requirements. “This project is a great example of a general aviation airport persevering and executing a vision,” he comments. Bowden credits Michael Baker consultants for creating a roadmap to help the airport achieve full commercial certification. “We had FAA submission calls, which provided the format of a list of items that had to be addressed. We would complete items, add new ones, and move forward in the execution of the project,” he explains. The airport created a new terminal building by erecting a 2,400-square-foot steel structure the airport had purchased years earlier. Construction was funded with an Appalachian Regional Commission grant, a grant from The Cleveland Foundation and private donations. The new terminal includes a pilots’ lounge, office space, a conference room, a file room, etc. “It is not elaborate, but it is functional,” says Bowden. Jones and other members of the board trustees felt it was important for the new terminal building to be true to the area. “A really modern building wouldn’t have fit,” she notes. Designers consequently opted to highlight regional elements, such as agriculture, wineries and covered bridges. “Bringing the outdoors in as a piece of the entryway was important,” notes Jones. The recent infrastructure investments have caused a substantial uptick in traffic, reports Ford. Since opening the new runway, touch and go passes have increased from 160 to 200 per month, and she has noticed a marked increase in airfield activity on the weekends. Whereas HZY is a non-towered airport, precise traffic numbers are not available. The airport also supports frequent business flights by Delta Railroad Construction, Molded Fiberglass Companies and other local companies. In addition, the airport recently struck a deal with Ashtabula County Medical Center and the Cleveland Clinic to be an alternate landing zone for their helicopters flying out of Cleveland. Looking ahead, officials are also working with Kent State University-Ashtabula Campus to establish a two-year maintenance degree program at the newly upgraded airport. The venture could be mutually beneficial for HZY and the University, and would support workforce development for the entire county, notes Bowden.